after an opponent wins his/her third story? on the story is the winner. Well this can cause situations where the opponent needs to eat a nasty story effect if they want the story but the low icon count does not seem worth the very situational ability. No? It's also a "lose less" card. 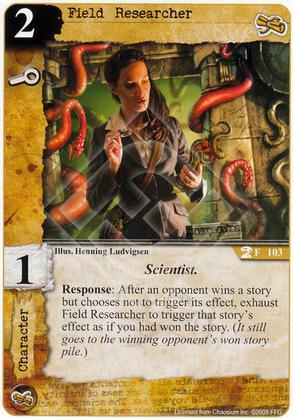 I generally prefer cards/effects that will help me win stories to ones that mitigate me losing them.